Black watch bracelet for a more casual look. Ideal for most sports watch collections Wryst, you can fit this plain black on black silicone bracelet on the Shoreline, Motors, Automatic 2824 and Elements collections. Some adjustments may be required so contact us with your watch reference in order to confirm and optimize fitting. Only one collection is not suitable for this 22mm size: the Wryst Ultimate. When colors are not the most suitable option, choose to dress your Swiss sports watch with this all black quality silicone bracelet. The color black is associated with mystery, power, strength, and sophistication. Fitted for example on the Wryst Elements watches with scratch-resistant black casing this will make your third bracelet. 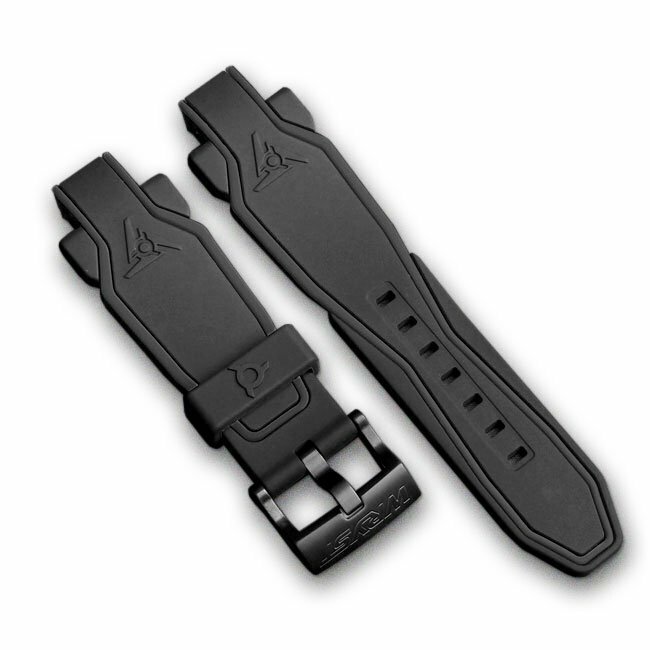 If this strap is delivered with a Wryst black DLC brushed buckle, you can choose to fit the buckle of your choice instead. 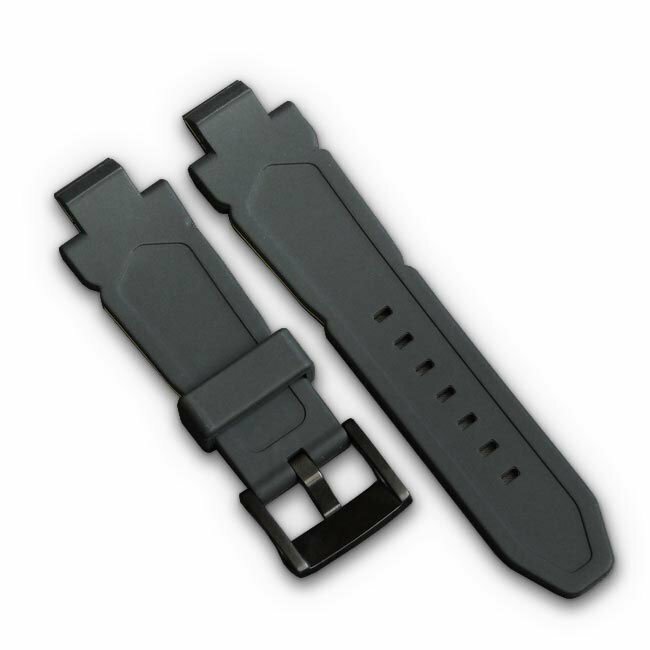 This black watch bracelet is dust-proof and the ends are reinforced with a strong hard insert for maximum strength onto the watch casing.